A royal celebration calls for a royal procession, and you can have your very own with the Princess Celebration Cars set! The set includes more than 15 jewels and accessories to make your 2 ponies look their very best. After your ponies are ready, you can line up the parade! 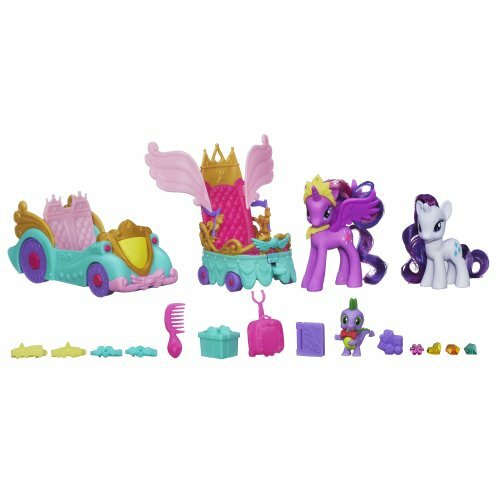 Your beautiful Princess Twilight Sparkle pony figure can lead in her amazing carriage, then your Rarity pony and Spike the Dragon figure can follow in the royal car! Get the pony parade going with the Princess Celebration Cars set! My Little Pony and all related characters are trademarks of Hasbro. Excitement abounds as the pony friends prepare to attend the Grand Galloping Gala in style! 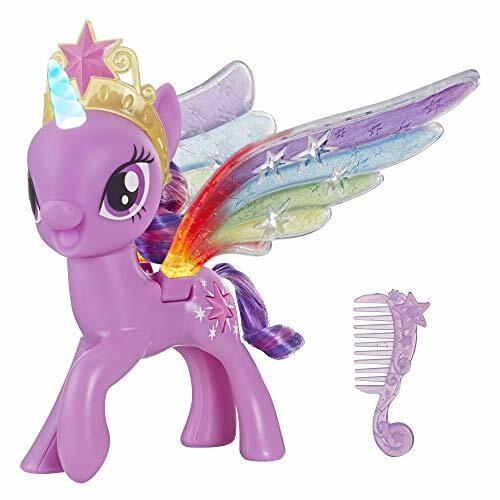 This 3-inch My Little Pony Runway Fashions Princess Twilight Sparkle figure comes with an adorable clip-and-style outfit and 2 fun hair accessories. Style her beautiful hair, clip on her fashionable dress, and imagine taking her to a fancy event! 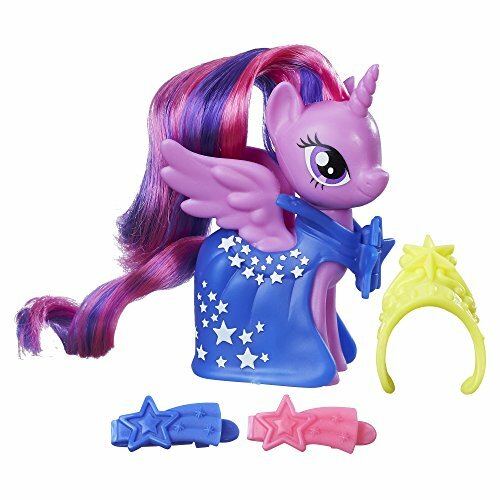 Outfits and accessories are interchangeable with other My Little Pony Runway Fashions pony figures and compatible with the Rarity Fashion Runway playset. (Figures and playset each sold separately. Subject to availability.) My Little Pony and all related characters are trademarks of Hasbro. No pony in Equestria would go out without her hair and tail perfectly coiffed, and certainly not spunky little Twilight Sparkle! She’s got a beautiful style all her own and you can use her headband to keep it in place. When you scan her necklace into the My Little Pony Friendship Celebration app (device not included), you can unlock her character in the app! 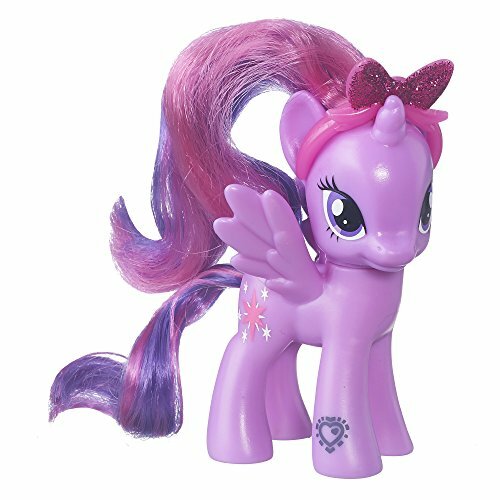 You’ll have the prettiest pal in Equestria with this Twilight Sparkle pony friend! My Little Pony and all related characters are trademarks of Hasbro. Welcome to the world of My Little Pony, a place filled with the magic of friendship! Meet Twilight Sparkle, Pinkie Pie, Rainbow Dash, Fluttershy, Rarity, and Applejack! These special friends always stick together. Join them for adventures and fun! Explore Ponyville, the royal city of Canterlot, and all of Equestria, where you are sure to meet even more pony friends! 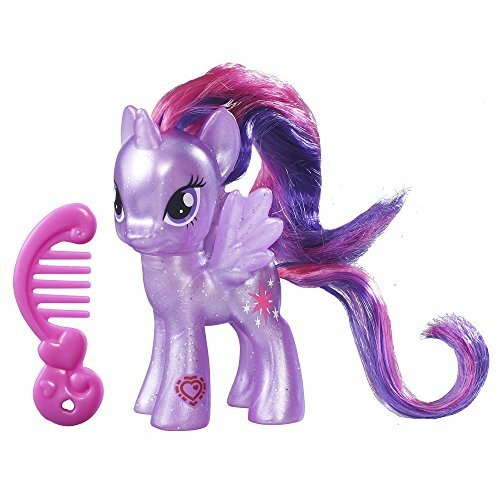 My Little Pony toys offer so many ways for little girls to play with their favorite pony friends. 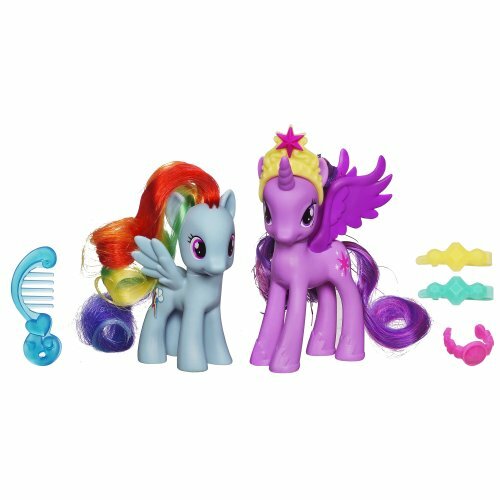 Imaginative playsets help girls create the world of My Little Pony at home, while fun pony toys have great features including long, colorful hair for styling and accessories for dress up and play! The My Little Pony brand has been a favorite part of growing up for thirty years and counting! The TV series, My Little Pony: Friendship Is Magic, extends the adventure for fans of all ages to enjoy. My Little Pony and all related characters are trademarks of Hasbro. Friendship is magic. . . especially the friendship of a soft, snuggly pony pal! 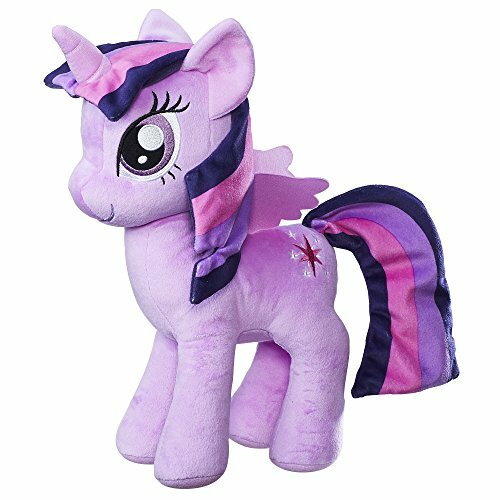 Cute and cuddly, the My Little Pony Princess Twilight Sparkle 12-inch plush figure has a soft body and even softer sculpted hair to look like the My Little Pony character from the Friendship is Magic television series. Pretend to recreate scenes or imagine new stories with Princess Twilight Sparkle! My Little Pony and all related terms are trademarks of Hasbro. Excitement abounds as the pony friends prepare to celebrate the Friendship Festival in style! Inspired by My Little Pony: The Movie, this My Little Pony Princess Twilight Sparkle figure is ready for the festivities with the star-shaped confetti glitter decoration on her legs. 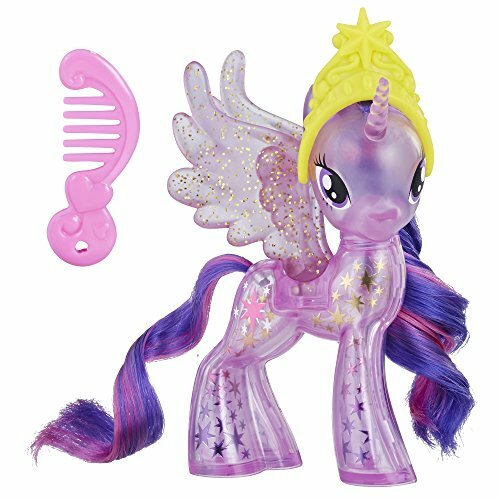 Comb her beautiful mane and tail with the included comb, and then add her crown to help her look her royal best. Also look for Princess Luna Glitter Celebration figure. (Sold separately. Subject to availability.) My Little Pony and all related characters are trademarks of Hasbro. My Little Pony: The Movie. Copyright 2017 My Little Pony Productions, LLC. Licensed by Hasbro.